As many of you know, when I first moved to NYC in 1970, I enrolled in the School of Visual Arts on 23rd St. in Manhattan. My dream was to take a class from the famed Push Pin Studios illustrator and designer Milton Glaser - he was one of my heroes. 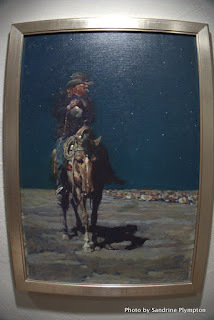 Unfortunately, once I had arrived at SVA, I learned that Milton's class was a special night class, and he personally selected his students. Yet, I did have some great teachers there - Charlie White III, Étienne Delessert and the great draftsman and "Tarzan" artist, Burne Hogarth. 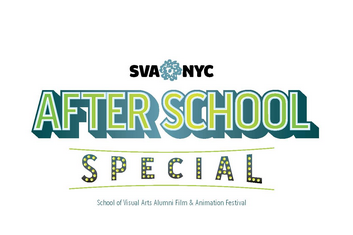 Over the years, I've kept my connection with SVA - doing lectures, classes and going to their graduation screenings. I was very delighted when SVA bought an old, rundown cinema on 23rd St. and 8th Ave. They redesigned the entire theater using Milton Glaser's concepts and art. Well, it's all come full circle now - I've been invited to do a show there, featuring all of my newest animations. 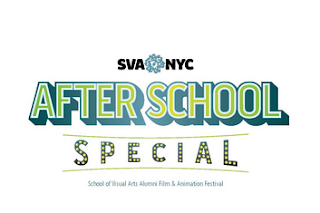 So, for all my fans who live in commuting distance to SVA - as part of SVA's 2015 Alumni Film & Animation Festival's "After School Special" program, I'll be doing an exclusive presentation of my newest short films on Friday, September 18 at 8 pm. This will include "Cheatin'" and sneak preview excerpts from two upcoming features, "Revengeance" and "Hitler's Folly", plus the NYC premiere of "The Loneliest Stoplight", narrated by Patton Oswalt. 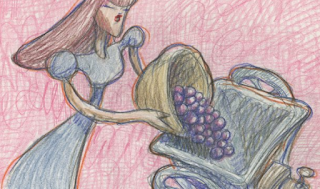 Preceding those films will be the New York premiere of the new short film "Dime Crimes #34", featuring the work of 11 SVA alumni, including director Ed Hellman. It's going to be a great evening of animation, all the cool people will be there. Also, the show is FREE! 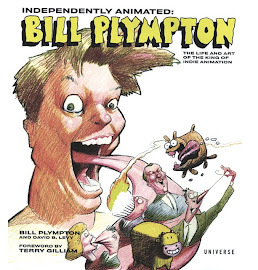 That's right, all you students, it's a free event, open to the public - and everyone who comes will get a free Bill Plympton sketch. So mark your calendars and bring your friends to the SVA theater on Friday, September 18. I'll see you there! 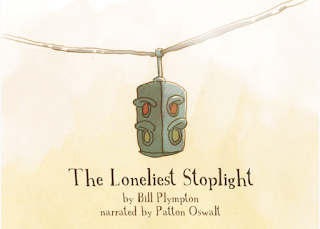 "The Loneliest Stoplight" screening in L.A.
Big news! My new short film, "The Loneliest Stoplight", is going to be screening in Los Angeles, starting this Friday, August 21 at the NuArt Theatre, located at 11272 Santa Monica Blvd. If you haven't heard me talk about it yet, my new short features the voice of Patton Oswalt, who narrates the story of a stoplight who feels unnecessary when people start using a new 8-lane freeway. Patton did a great job, and I'm really proud of this one, so it's great to see some screenings lined up already! The NuArt is a fantastic theater, and they've been very helpful in getting my shorts screened in order to qualify them for Oscar consideration. I win, they win, and if you go to see the film, you'll win too! So, beginning August 21, you can catch "The Loneliest Stoplight" at the NuArt Theater in L.A., opening up for a documentary called "Station to Station", which looks like an amazing film about a train full of artists and filmmakers on a trip from NYC to San Francisco. 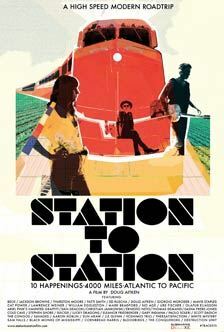 "Station to Station" is a revolutionary feature comprised of 62 one-minute films highlighting an exciting and eclectic mix of artists, musicians, writers, places and perspectives. In the summer of 2013, a train designed as a kinetic light sculpture by artist/filmmaker Doug Aitken traveled from New York City to San Francisco over 24 days. Rolling into ten stations on the route, the train set in motion a series of happenings, each unique to its location and mix of creative participants. Featuring performances by and conversations with Beck, Jackson Browne, Mavis Staples, Patti Smith, Cat Power and many more. 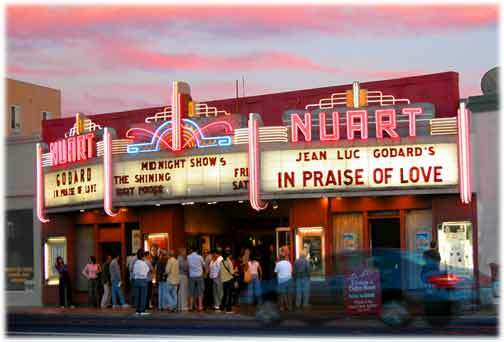 If you can't make it to the NuArt, we'll have some announcements very shortly about some film festival screenings, some festivals where you see me year after year, and there may be a surprise or two coming up also. Thanks for watching, hope you enjoy my new short! About 5 years ago, I was contacted by a Hollywood producer, Ron Senkowski, who asked me to meet with him in L.A. when I was attending the Annies. We met at a Bob's Big Boy in the Valley and he asked if I wanted to create some animation for a feature film he was producing, a version of Kahlil Gibran's best-selling cult book "The Prophet". I asked him if he had financing yet, and he told me something I've never heard before in Hollywood (and probably will never hear again) - "We have too much money." I liked hearing that, so I said, "Sign me up." It was a long road of production and organization - they had a wish-list of animators including Sylvain Chomet and Marjane Satrapi (both of whom had other obligations). And they brought on the great Roger Allers ("Aladdin", "The Lion King") to write and direct the story. Also, the great and beautiful actress Salma Hayek came on board as a producer. Apparently her grandfather, being from Lebanon, was a big fan of "The Prophet" and he read the book to her during her childhood. They divided the film into segments, representing different chapters from Gibran's book, and some of the other artists who contributed animation are Joan Gratz, Nina Paley, Tomm Moore and Joann Sfar. They even invited me to Cannes to watch a sneak preview of a few of the scenes and to do some interviews to help spread the word. It was a fabulous trip - they put me up in a fancy hotel and I got to hang out with Salma Hayek, although she was pretty busy with her press and social obligations. The film got introduced by Gerard Depardieu, and I got to walk on the red carpet like a real celebrity. Then there was an A-list party with famous people like Paris Hilton and Zoe Saldana - but I was too shy to talk to them. Salma Hayek, Roger Allers and Joan Gratz. Finally, last week I was invited to see the NYC premiere, at the Landmark Sunshine Cinema, and I got to chat with Salma, which was enjoyable. The sell-out crowd was mostly made up of young women, and they adored the film. The original book appeals to more women than men, I think, but it somehow manages to touch people from many different countries and religious backgrounds. But, I have a few criticisms to makeabout the film. The person who did the shadows on the faces just didn't seem to understand how shadows work - they were all out of shape and that detracted from the facial detail, and it bugged the hell out of me. 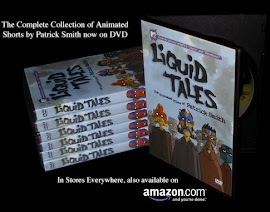 Whoever did that should check out my book "Make Toons That Sell...Without Selling Out" from Focal Press - I have a whole chapter on shadows in there. 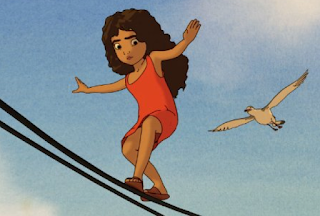 Otherwise, I loved the visual style of the film - it's unique in the animation world. I can't think of another feature that put the work of so many different animators together so well. I particularly loved Joann Sfar's segment, "On Marriage", and the one from the Brizzi Brothers, "On Death". One interesting observation that occurred to me is that, because of the structure of the film, Roger Allers had to make some changes to the main story, and as a result the framing sequence doesn't accurately follow the original book by Khalil Gibran. So, if the book continues to gather fans and followers, and eventually becomes the foundation for a major religion, then just like St. Luke and St. John for the New Testament, Roger will become St. Roger for "The Prophet". Next time I see him, I'll get on my knees and genuflect. 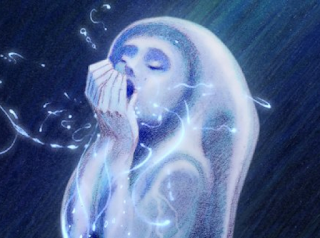 So, before "The Prophet" becomes a religous movement, run out and see it for the beautiful thoughts and gorgeous art. And watch for my segment, "On Eating & Drinking"! The film opens Friday, August 7 in NYC's Landmark Sunshine and L.A.'s Landmark theater. 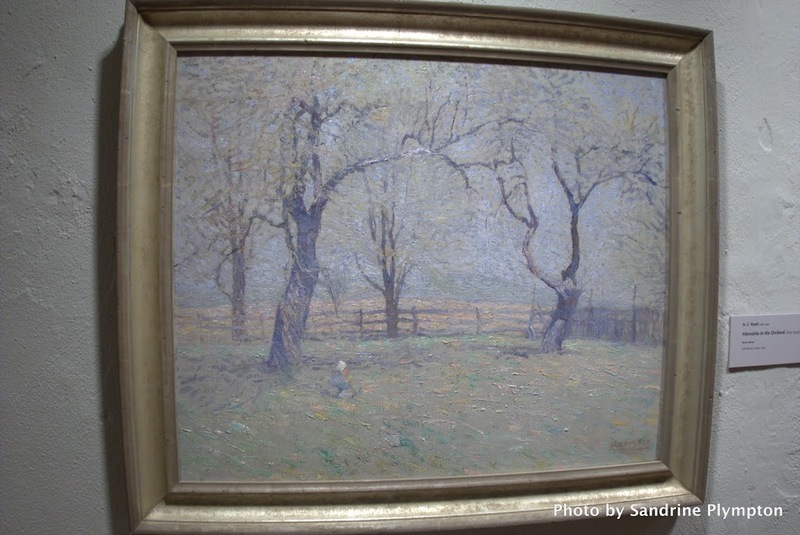 As I mentioned in my last post, I planned a trip to Washington DC and Philadelphia to appear at screenings of CHEATIN', with a side trip to see the Brandywine River Museum. In Washington DC I returned to the AFI Cinema, which is actually located in Silver Springs, Maryland (a suburb of Washington). I've been there a number of times for the Environmental Film Festival, and this time we had a great crowd and an excellent response to CHEATIN'. Signing for fans in DC - my thanks to Bruce Guthrie for the photos! My next venue was a small multiplex in Philadelphia, The Roxy - a nice, large crowd greeted me there. I have a lot of "phans" in Philly, apparently. 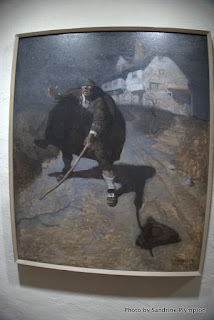 The next day, my wife and son and I picked up a rental car and drove to Chadds Ford, PA, and the famed Brandywine River Museum, home to collections of art from both N.C. Wyeth and Andrew Wyeth. 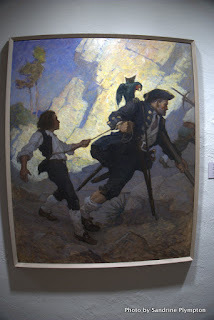 I've been a fan of N.C. Wyeth ever since I discovered his work while in college - although, as a kid I'm sure I enjoyed his art from books like "Treasure Island" and "Robin Hood" before I was aware of him. When I became an illustrator myself in NYC in the early 1970's, that's when I became obsessed with his art - he was one of the true geniuses of illustration. Chadds Ford is not so much a town, it's more like a collection of antique stores and restaurants along Route 1 in rural Pennsylvania. 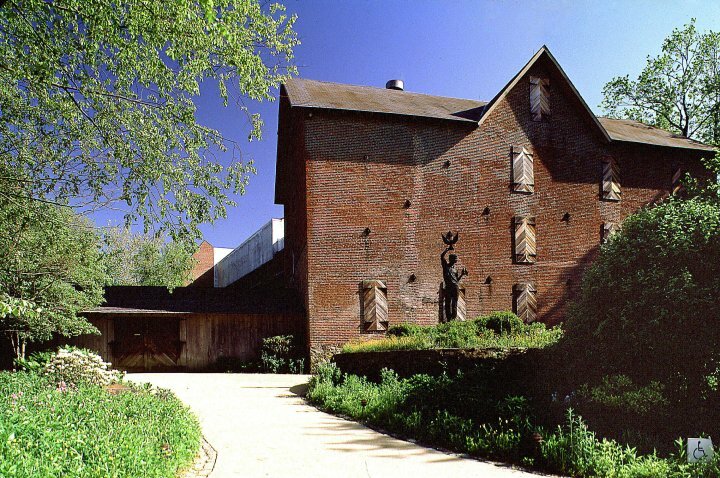 The Brandywine River Museum itself is a newly-constructed modernist structure that uses part of a 19th century stable as its entrance. 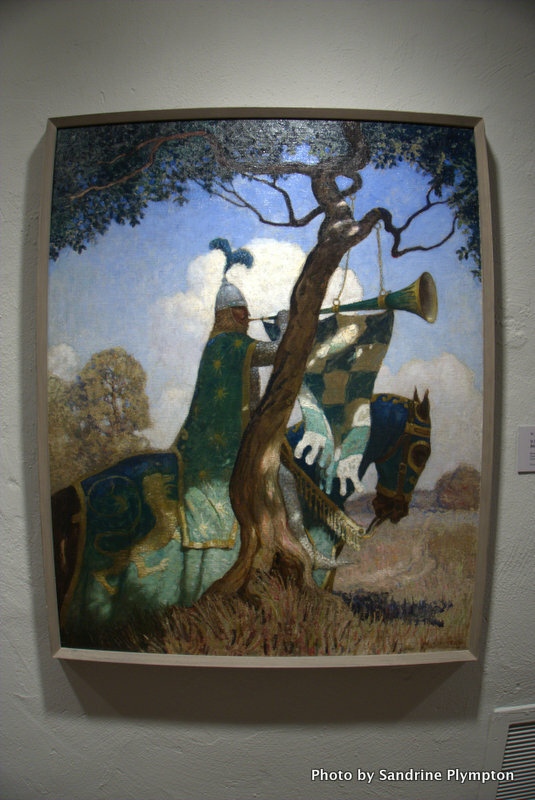 It's situated next to the beautiful, crystal clear stream of the Brandywine with three floors - the first floor shows the history of paintings from the area - portraits, local landscapes and some gorgeous illustrations by Howard Pyle. 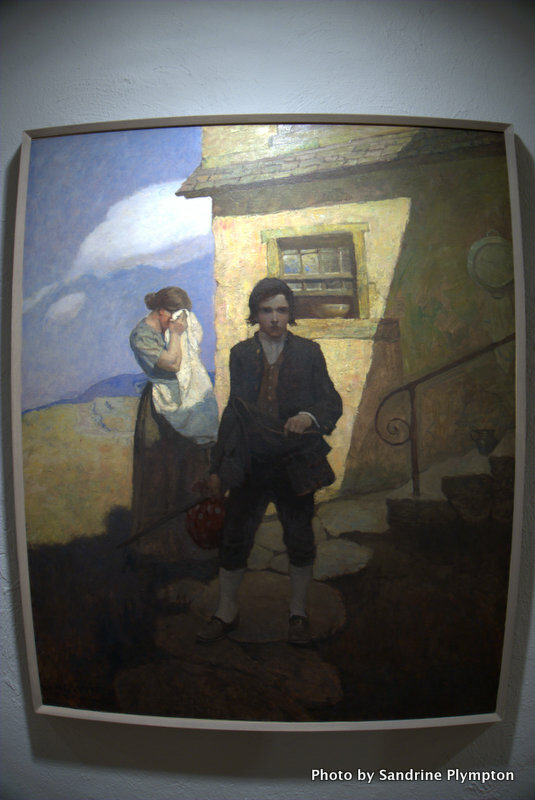 He is considered the father of American illustration, and was also a great teacher and an influence for N.C. Wyeth. 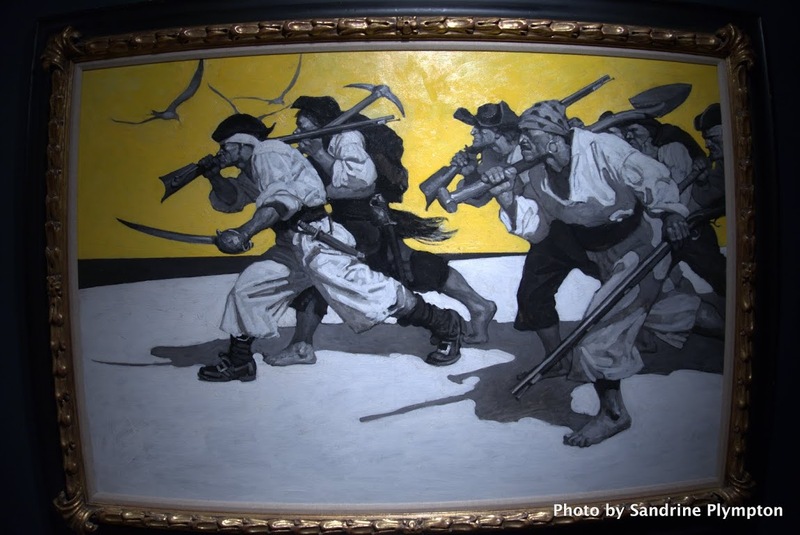 The second floor is the N.C. Wyeth floor, and on the third floor are paintings from N.C.'s son, the famous Andrew Wyeth, and Andrew's equally famous son, Jamie Wyeth. Now, I'm a big fan of both Andrew and Jamie ("Christina's World" is one of my favorites) but I was here mainly to see N.C. Wyeth's work up close, which I've never done before. 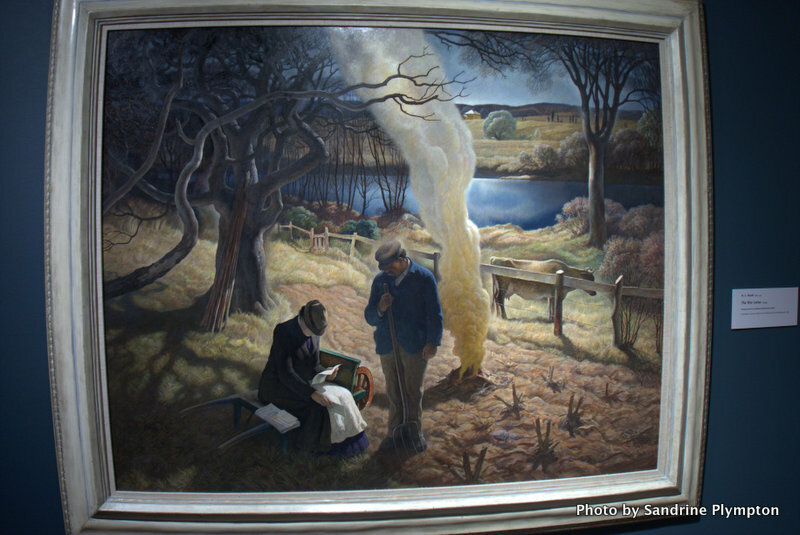 As I entered the room and glanced across the panorama of famous art, my body glowed with anticipation. OMG! OMG! OMG! 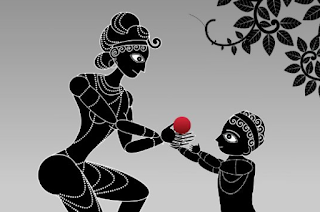 Look at the beautiful artwork! 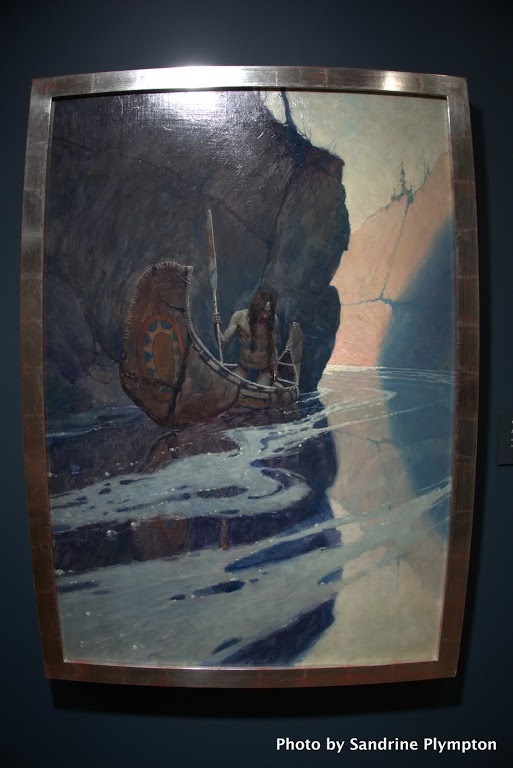 I started with the famous piecce of the Indian paddling his canoe - I've stupidly forgotten the title, but it's a classic. 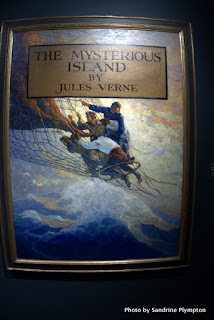 Then I spied 10 large paintings from the book "Treasure Island", written by Robert Louis Stevenson. I also saw some gorgeous paintings from "Kidnapped" and "Robin Hood". I kept saying "Stop, please! 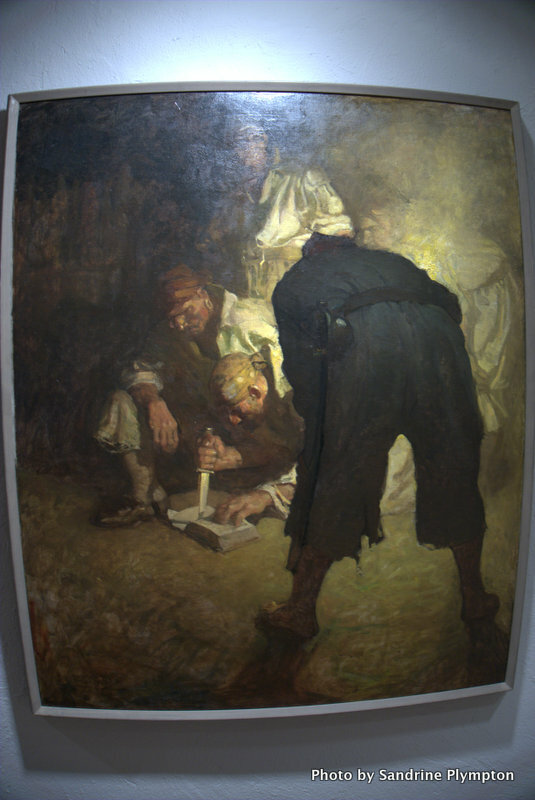 No more masterpieces! My brain can't take it!" 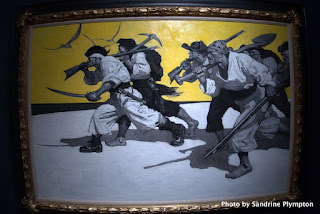 But then, at the end, I was totally addicted - I need more, I need more N.C. Wyeth! 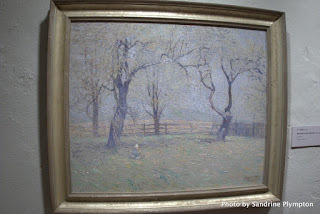 So they hung some of N.C.'s more artistic works - they're very impressionist, similar to Monet paintings, but they lack the power and skill of his illustration work. 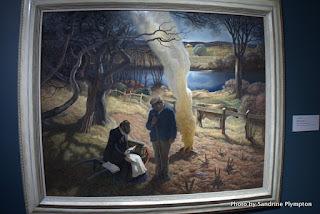 There were also some examples of his later "fine art", and those pieces had a sort of Grant Wood/Thomas Hart Benton feel. I liked them a lot, but I kept being drawn back to his earlier illustrations. As an animator, I really enjoyed his use of design and shadow - they are so simple in the layout, yet he really controls the eye and makes you look where he wants you to look. 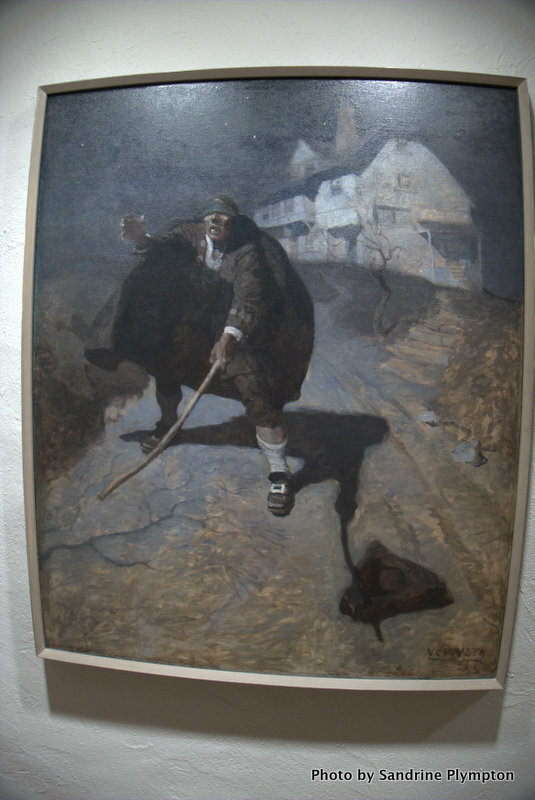 He leaves broad parts of the canas in shadow and then uses bright sunlight to drive the story home. He was a consummate storyteller - I would have loved to see him make a film. In fact, it's acknowledged that films like "Robin Hood", "Treasure Island" and "Mysterious Island" used his paintings as reference for design and mood. After the viewing (I went through the gallery twice) I needed to refresh myself in the beautiful Brandywine River - so I swam to the middle and just drifted, imagining I was in the middle of the Sherwood Forest of N.C. Wyeth's imagination. I also imagined that N.C. himself might have taken a dip in the river, jumping off the very same tree that I did. One surprise bonus exhibition at the museum was a showing of 100 year old political cartoons, which included work from some of my favorite artists - Thomas Nast, Charles Dana Gibson, Rube Goldberg and Milt Gross. Plus, cartoons from two of the masters of pen and ink - Edward Kemble and the amazing A.B. Frost. Wow, what a day! If you're ever outside Philadelphia or Wilmington, DE, please try to visit the Brandywine River Museum. It will amaze you!